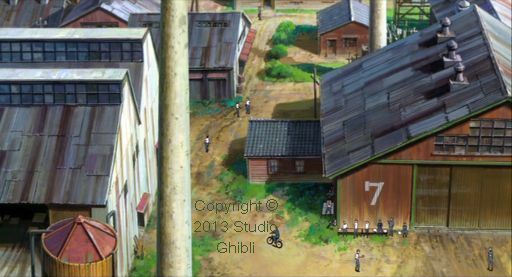 Overview of the anime The Wind Rises by Hayao Miyazaki, 2013. Reviewed by Everard Cunion in August 2015. 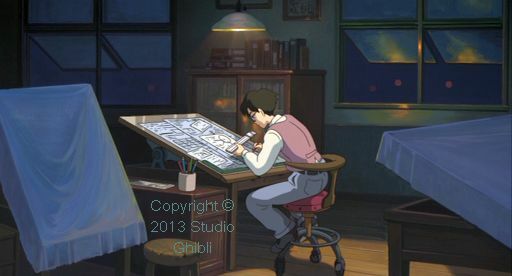 This overview is of the ‘Studio Ghibli Collection’ DVD. 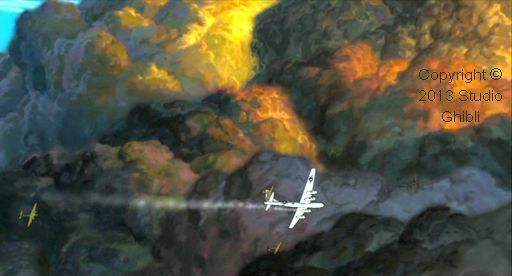 This anime is a fictionalised biography of aeronautical engineer Jiro Horikoshi, who was the chief designer of the most famous fighter aircraft made in Japan during World War 2, the Mitsubishi Zero. While it recounts his aircraft design career, his personal life is made up, according to the wiki anyway. 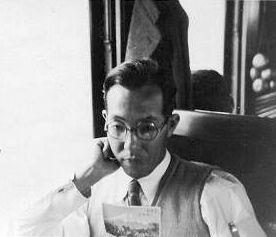 Early in the story, a tsunami and accompanying earthquake devastate the part of Japan where the young Horikoshi is traveling by train. Nothing new there then. The story includes encounters with his hero, the Italian aeronautical engineer Caproni, in a series of dreams. Horikoshi complains to his companions how backward Japan is compared to the USA and Germany. 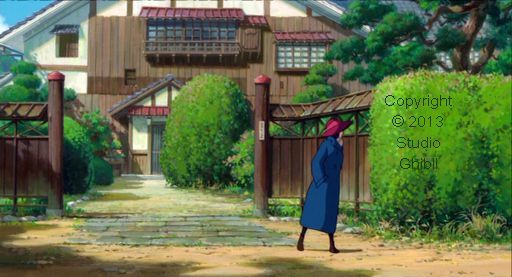 The anime shows us this strange mixture of 20th century technology and ancient Japan. For example, their prototype fighter aircraft are transported from the assembly hangar to the airfield on a cart pulled by oxen. As the anime progresses, we see more modern things in Japan, such as trams and automobiles, and styles of dress become more western. Horikoshi is sent to Germany to catch up on the latest aircraft technology. The Junkers G38 that he and his colleagues see there seems like science fiction, but it is based on fact. The G38 was an enormous four-engine aircraft with seating and windows in the wing leading edges. The flight engineer could stand up and walk around inside the wing to attend to the engines. 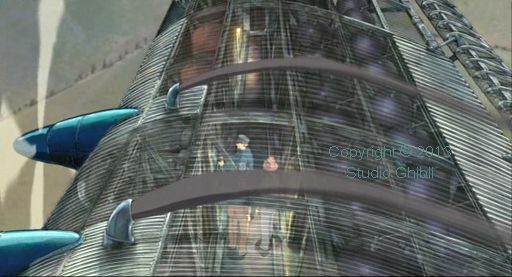 In a scene that can only be rendered artificially, the virtual camera in the walkway inside the wing moves upwards and outside, and the corrugated alloy upper surface of the wing fades into place. Similarly advanced animation techniques include close-ups of Horikoshi sketching some engineering drawings, the transparent rushing water of a stream, a rainbow against a varied sky, and snow falling (both lightly, and – in a different scene — depicting a snowstorm). 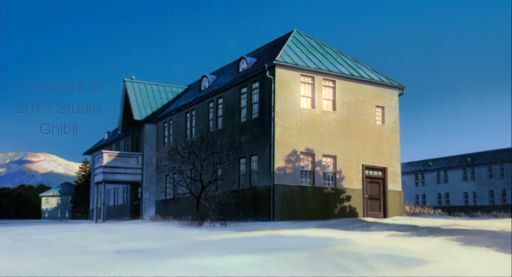 The makers of this anime use a vertical panning technique to include a wide (well, tall) view of action scenes or, sometimes, just scenery, such as the Mitsubishi aircraft factory in the 1930s. When I designed and constructed experimental hang gliders in my back yard in England in the mid 1970s, I sometimes encountered difficulty obtaining aircraft grade aluminium alloy extrusions. 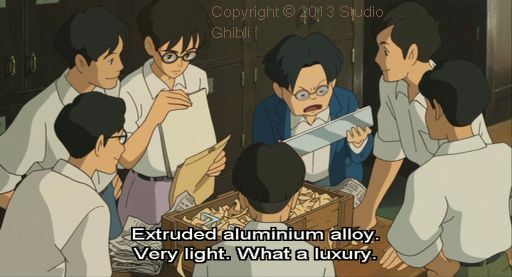 In 1930s Japan, major aircraft manufacturers had even more difficulty, at least according to this anime. 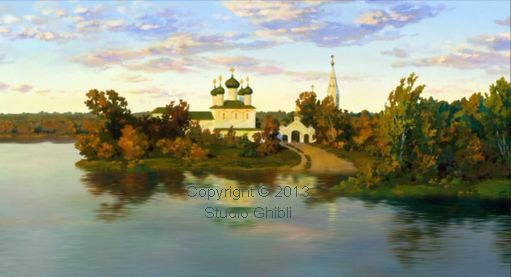 Anime is deliberately different from modern computer-generated photo-realistic animations, yet this one ‘blurs the line’ somewhat in that the backdrops, including some of the motion effects, are fairly realistic, while the human characters are cartoonish. That is itself a style clash. Nothing on a modern PC works properly (it is all created for, if not from, the jumbled minds of Facebookers now) and the random turning off of the English subtitles is, I suppose, to be expected. It is easy enough to turn them back on. Not a fault of the anime itself, of course. 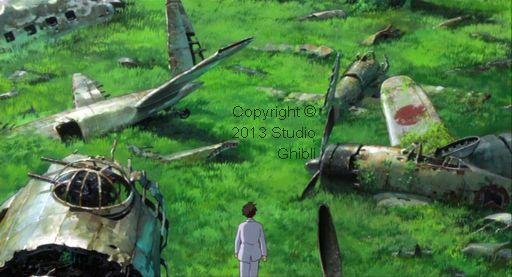 If you have an interest in aircraft design, the history of Japan in the first half of the 20th century, or you just want a love story with a sad ending, The Wind Rises is worth watching.